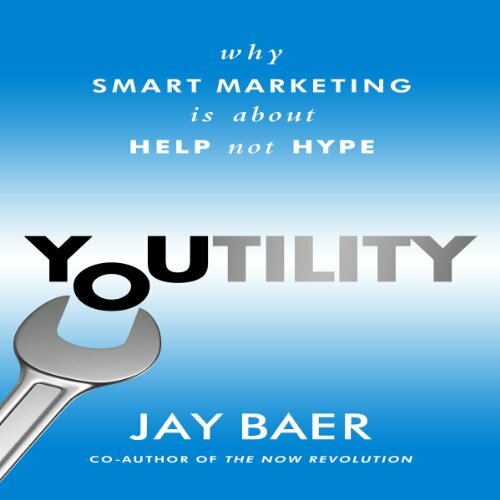 Youtility, as defined by best-selling author Jay Baer, is marketing that people cherish instead of marketing they simply tolerate. Due to enormous shifts in technology and consumer behavior, customers want a new approach that cuts through the clutter: marketing that is truly, inherently useful. 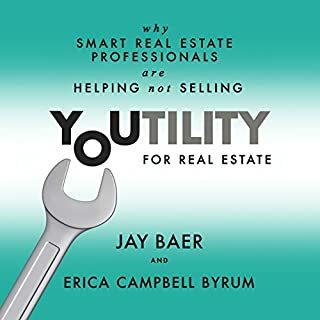 Smart real estate professionals are applying the concepts of Youtility, giving away information and resources for free to differentiate and dominate by providing real value to clients and prospective clients. The difference between helping and selling is just two letters. If you're wondering how to make your products seem more exciting online, you're asking the wrong question. You're not competing for attention only against other similar products. You're competing against your customers' friends and family and viral videos and cute puppies. To win attention these days you must ask a different question: "How can we help?" What about Marcus Sheridan and Jay Baer ’s performance did you like? I wasn't very keen on Mr. Sheridan's performance, but I enjoyed listening to Jay very much. Jay is a seasoned speaker who has always done a great job of sounding authentic and conversational, but still very clear and professional. I really enjoyed the framing of mental models and juxtaposition of personal social relationships to that of relationships with a business. 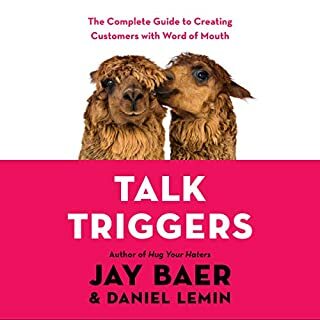 I knew I already agreed with the premise of the book before buying it, but the way Jay broke a number of concepts down and supported them with great examples added a great deal of value to the book. Jay tends to dive deeper than most into what could otherwise feel like a very shallow translation of the presented concept. You can depend on him not to exaggerate things and always ground it to things that even business owners that are skeptical of digital marketing would find compelling. Despite my initial expectations, this book is actually very interesting and has lots of very good insights. It's a pity that the audio quality is rather poor for lack of proper post-production edition and generally I don't like when the author is also the narrator. But it's definitely worth it for the content. This book provides a lot of great big picture information as well as specific tactics. Good Concept. It felt a little repetitive. Would you consider the audio edition of Youtility to be better than the print version? Not really. 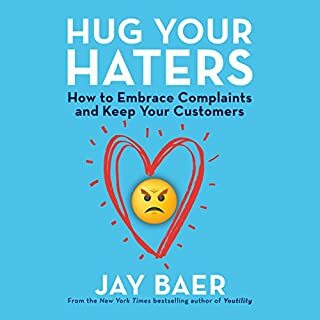 Jay Baer is good writer but I felt like his voice was on the dry side and lacked emotion. You could tell when he was trying to sound excited, didn't seem natural. I would have preferred a trained voice actor. What other book might you compare Youtility to and why? Who would you have cast as narrator instead of Marcus Sheridan and Jay Baer ? I have been pretty pleased with Mike Chamberlain's narrations. Again, I think a trained voice actor could have added some much needed energy to the book. My favorite book to date. Loved it with all my heart. This is absolutely my favorite book to date. Not only I have the audible version, also had to buy a hard copy so that I could expose it in my shelf. 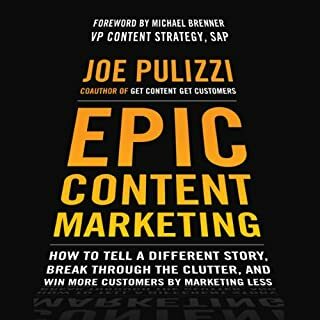 This book is an incredible resource on how to make your company useful to the extent that makes customers want more NATURALLY. You aren't selling products.. you're selling your company and its values. Its usefulness. 10/10 recommend, hands down. Useful, but redundant and overkill. Decent book, but the author uses "Argumentum ad nauseam". Basically he rehashes the same thing for far too many chapters. Furthermore, I feel like he constantly makes up data to prove his point, which is even more unnecessary. Listen to the first two chapters and you listened to the whole book. Great listen for the modern entrepreneur! Catchy listen for a 4-year in startup person. Really distinguishing 'helpful' from all marketing initiatives. Great narration. Totally recommended. I know marketing books without stories would be pamphlets, but I struggled to identify the key messages hidden amongst the long anecdotes. 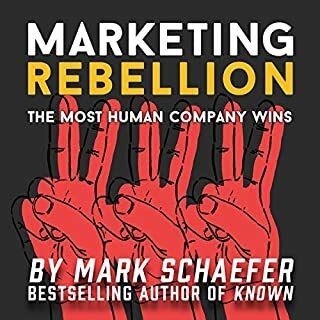 I heard about this from Marketingbook podcast and it's a real great audio book that makes you rethink marketing strategy and usefulness - great insights into companies that have been successful and those that haven't and why - but more importantly a process and methodology on how to do it. Founder of My SOS Family. 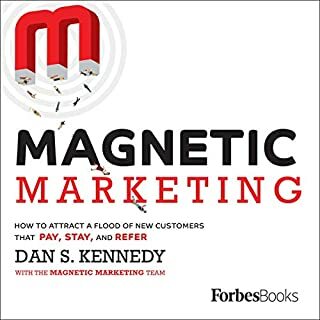 This book has great common sense ideas and concepts on using the available low cost technology and 'customer - first' ideals to have more people aware of your business increasing opportunity for revenue growth, product evolution and reducing unnecessary marketing spend. Terrific material. Do good to hear an American talk marketing without the Hype! !